Umbria is a stunningly beautiful wine region and offers scenery of gently rolling hills covered in vineyards, medieval towns, and spotted with pockets of thick woodlands. Sandwiched between Tuscany and Marche, Umbria is world famous not only for its wines but also for its chocolates and truffles. The best thing about Umbria is despite all it has to offer culturally and gastronomically, the region is still a relative secret, is unspoiled and pristine, and doesn’t receive the tourist hordes. A hidden gem in Italy! So we have designed this week-long tour of Umbria and neighboring Le Marche for food and wine lovers looking for a luxurious private chauffeured tour of boutique wine estates off the beaten track, picturesque towns and fabulous restaurants. 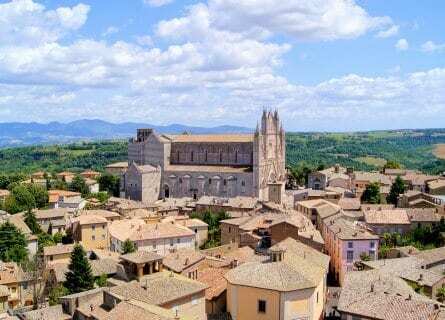 Some of Italy’s loveliest towns are located here, and you will have the chance to visit majestic Orvieto, spiritual Assisi, medieval Gubbio and fun loving Perugia (all in Umbria), along with Renaissance Urbino and pretty Ascoli Piceno in Marche. You will begin your wine tour with a visit to the elegant Decugnano dei Barbi estate near Orvieto. Other fantastic small wineries you will visit over the next few days in Umbria and Marche could include Falesco, Arnaldo Caprai, Scacciadiavoli, Paolo Bea, Chiorri, Pievalta, Moroder, La Distesa, Aurora, Velenosi, and Sartarelli. You will taste reds, whites, sparklers, and sweeties, ranging from the lusty red Sagrantino wines of Montefalco to the delicate and floral Verdicchio wines of Jesi. Look forward to private guided vineyard and winery tours generally with the owners and winemakers themselves, and VIP tastings of the best wines each estate produces. You will stay in small, historic hotels- one right in the wine country, another in a historic palazzo, and one in a Napoleonic fort facing the Adriatic Sea. While wine tasting is a major focus as always on our tours, you will also enjoy art and culture with some private guided walking tours, and of course some unforgettable meals. 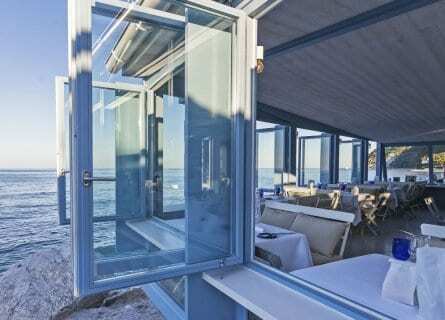 We have selected a mix of avant-garde Michelin starred restaurants, contrasted with authentic and cozy trattorias. Local ingredients you will see on your special tasting menus could include Tagliolini pasta with white truffle, beef with black truffle, “Cinghiale” (wild boar) sausages from Norcia, Salami and Prosciutto (also from Norcia), white figs from Amelia, wild chestnuts (used in savory dishes and desserts), Pecorino cheese, and exquisite tiny lentils from Castelluccio. If you are looking for a relaxing and “Slow Food” style vacation in Italy, then this trip to Umbria and Marche is perfect for you. Your private driver guide will meet you this morning at Rome airport, or your hotel in Rome and you will head north into charming Umbria, about an hour and a half drive. First stop today is in Orvieto, an astounding ancient town that rests on a volcanic tufa plateau high above the valley below. Drive along the craggy wall, higher and higher until you reach the spectacular Duomo, where a private guided walking tour will begin. The Duomo is simply gorgeous and one of Italy’s finest churches, dazzling and impressive. Explore the small historic center with your friendly guide, including a strange and fascinating visit to “underground Orvieto”, a series of Etruscan caves and wine cellars. After sightseeing this morning and stretching your legs, you will head to your first wine estate of the tour, to Decugnano Dei Barbi in Fossatello di Corbar, about half an hour from Orvieto. Ultra-premium Umbrian wines are made here and after a tour of this graceful estate you will taste wines such as the Decugnano Bianco Orvieto Superiore DOC (made with Grechetto, Procanico, Chardonnay and Sauvignon Blanc), the sparkling Decugnano Brut Metodo Tradizionale (Chardonnay, Verdello and Procanico blend), the Decugnano Pinto Nero Lago di Corbara DOC (100% Pinot Noir aged in barrique in natural caves before bottle ageing), their delicious sweetie Decugnano Pourriture Noble (Noble rot) dessert wine dominated by the Grechetto grape, and their flagship Decugnano Rosso “Il” Rosso Umbria IGT (blend of Sangiovese, Montepulciano d’ Abruzzo, Merlot, Cabernet Sauvignon and Syrah. Lunch will be at their elegant Relais (villa). 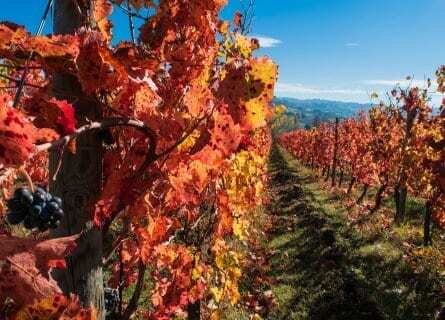 A wonderful, beautiful place to start your wine tour of Umbria! In the late afternoon, your driver will take you to the fairytale medieval village of Bevagna, your base for the next few nights. Relax and enjoy dinner on your own in the hamlet. Today you will visit two of Umbria’s most important and historic towns- Perugia and Assisi. Your driver will transfer you in the morning from Bevagna northwest to the bustling university town of Perugia. Enroute, you will stop at a small family-owned wine estate with amazing views over the countryside. Visit the delightful Chiorri estate, touring the vineyards and cellars and tasting their DOC Colli Perugini (Perugia hills) and IGT dell’ Umbria white, red and rosè wines. Sample some local cheeses and Umbrian salamis with your wines, kind of a wine tasting hearty breakfast! Enjoy some free time next to Perugia to check out the shops, take a stroll, have a coffee. You will notice many students here and in fact, Perugia is home to the Università per Stranieri (Italy’s biggest language school, attracting thousands of foreign students every year). Perugia is also home to Perugina (the eponymous chocolate “Baci” kisses) and the annual chocolate festival. Lunch will follow in Perugia’s “Centro Storico” (old town) at one of our favorite trattorias like the outstanding Antica Trattoria San Lorenzo where chef Simone Ciccotti creates traditional Umbrian cuisine with innovative touches such as his versions of Ravioli di Scampo (Ravioli stuffed with scampi), Cappelletti all’acqua di tartufo bianco (pasta with white truffle), and Tagliata di Bue Fassone in gremolata di tartufo (beef with black truffle). After lunch, your next visit is to Assisi where Saint Francis of Assisi is buried in the monumental Basilica di San Francesco. With your own private art guide, you will tour this wonderful village, seeing Giotto’s frescoes in the basilica, as well as the Romanesque-Gothic San Pietro church and the Piazza del Comune. In the late afternoon, on your way back to Bevagna, you can stop in the perfect little medieval hamlet of Spello if you would like a little more sightseeing. Free evening. 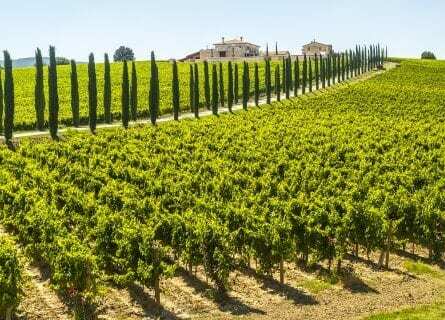 The famous Montefalco wine country is on the itinerary today and you will visit three of Umbria’s best wineries such as Arnaldo Caprai, Paolo Bea, and Scacciadiavoli. From Bevagna, head only ten minutes south and you will arrive at the little medieval hamlet of Montefalco (translated as “Falcon’s Mount, referring to the Birdseye view over the valley below). Your first visit of the day will be to the prestigious Arnaldo Caprai estate, a Sagrantino wine pioneer. Tour the vineyards, winery and “Barricaia” (barrel room) and taste the best wines such as Grechetto Poggio Belvedere, Grecante, Poggio Belvedere Rosso, Rosso di Montefalco, Rosso Outsider, Sagrantino Collepiano, Sagrantino 25 Anni Riserva (winner of 95 points with Robert Parker). The Scacciadiavoli wine estate is next, which colorfully translates as “Devil Banisher” and comes from an ancient legend of a 17th-century exorcism that took place here. Legend has it that a young woman was possessed by the devil and made to consume the local red wine, which effectively got rid of the devil. The town named itself after this event. Good 17th-century wine marketing? Perhaps, but a fun story at any rate. You will visit this historic estate and enjoy a tasting of their most famous wines including their excellent Sagrantino. Lunch will follow in a really cute little trattoria in Montefalco run by the Brizi sisters, located in an ancient working olive oil mill. After a three course traditional Umbrian lunch, you will have some free time. We highly recommend a visit to the 14th century San Francesco church as the Renaissance fresco cycle by Benozzo Gozzoli is amazing. Explore the narrow, winding lanes of Montefalco to get some photos before heading next to the last winery of the day, Paolo Bea. This estate is considered to be the ultimate garage winery and makes cult wines for collectors. Enjoy a tasting of the organic wines that have made this estate so famous. Then tonight we have a full dinner planned for you at the atmospheric Redibis restaurant in Bevagna, with six creative dishes paired with top wines. Enjoy! 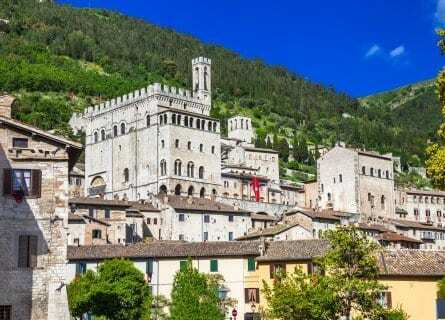 Today you head to the coastal Marche region, but not before seeing one of Umbria’s most picture-perfect medieval gems- Gubbio. From Bevagna, your driver will take you about an hour and 15 minutes drive north to the atmospheric village of Gubbio. Traditionally of strategic importance between Rome and Ravenna, Gubbio was dominated by the ancient Romans (and Etruscans before that). But it was the medieval époque when Gubbio came to prominence and much of what we see today is from this period. You will have a free morning here to wander around the quaint town on your own. If taking this tour in May, we will make sure you get to see the fabulous “Corsa dei Ceri” (the “candle race”), a colorful medieval pageant. From Gubbio you will travel to Urbino (in the Marche region), but first stopping en route in Passo del Furlo di Acqualagna (home to the white truffle) for a superb lunch at one of our hidden gems, tasting the chef’s four-course menu (with white truffle, of course!) paired with Umbrian and Marche wines. The dining room is cozy, especially in colder weather like autumn, with its wood burning fireplace/grill. After a fantastic lunch, you will visit Urbino, one of Italy’s most elegant Renaissance towns. As there is so much to see, you will have a private art guide who will take you on a fascinating two-hour walking tour, taking in the highlights like the Disney-esque Palazzo Ducale and the marvelous Galleria Nazionale delle Marche. You will see some of Raphael’s paintings as he was born in Urbino and many of his Renaissance masterpieces are here. In the early evening, you will drive to the coast. For the next few nights, you will sleep in a Napoleonic fort, right on the sea with the graceful Conero Mountains nestled behind. You will visit the best Verdicchio producers today. Verdicchio di Castelli di Jesi is the appellation and the Verdicchio grape is one of Italy’s most interesting indigenous white grape varietals and makes high quality, aromatic wines. A few producers stand out above the rest and today you will receive a VIP tour to the best estates. Begin your Verdicchio tour at Pievalta, a top Marche winery owned by the Franciacorta wine pioneers Barone Pizzini (who also own the Poderi Ghiaccoforte estate in Maremma; the Tenuta del Barco estate in Salento, Puglia; and the Eleiva olive oil producing estate in Tuscany). Enjoy a private tour and tasting with manager Alessandro Fenino, who will teach you all about their experimental vinification techniques in Amphorae and about the biodynamic viticulture they employ. Fascinating stuff, great visit, and super wines. Next up is La Distesa, an organic boutique estate making excellent wines. You will taste their Verdicchio dei Castelli di Jesi Classico Superiore “Terre Silvate” and “Gli Eremi” along with the red Marche Rosso “Nocenzio” made with Montepulciano d’ Abruzzo, Sangiovese and Cabernet Sauvignon. You will be well ready for lunch by now and today we will organize a wonderful, traditional lunch at the revered, authentic “Anita” restaurant in Cupramontana. After lunch, change gears and enjoy some spectacular natural scenery at the Frassasi caves. This extensive cave network is mind-boggling, and the 75-minute tour is something extraordinary. The motto here is “journey to the center of the earth”. With a guide, you will enjoy a walking tour of this underground world complete with theatrical lighting and running commentary. Well worth the visit and very memorable. Upon your late afternoon return to Ancona, you can stop in small, charming villages like Fabriano (which is famous for its artisan paper production), medieval Matelica and Cingoli (known as the “Balcony of Marche” for its great views). Relax at the hotel and get freshened up for dinner. Tonight we have a Michelin starred extravaganza at Madonnina del Pescatore, one of the best restaurants in Italy. A tasting menu paired with the best wines of Marche and Umbria will be waiting for you, this will be a gastronomic highlight of the tour. Buon appetito! Enjoy a later start today and take in the views of the tranquil sea. Mid-morning, your driver will take you south to the beautiful Parco del Conero, a gorgeous natural park that features a Caribbean like coastline, rare birds, honey production and yes- vineyards! Your first visit of the day is to the boutique Moroder wine estate, revered for their Rosso Conero wines. You will taste the whole range including the Rosso Conero DOC Riserva (made with 100% Montepulciano d’ Abruzzo), their Rosato IGT (rosé, blend of Montepulciano d’ Abruzzo, Alicante Nero, and Sangiovese) and their delicious “Oro” Moscato Passito wine (Moscato, Malvasia, and Trebbiano Dorato fermented in oak “caratelli”, where the wine ages for more than 2 years). You will be ready for lunch after this morning of wine tasting and a light, seafood-based lunch at star chef Moreno Cedroni’s Clandestino restaurant is on the menu! This afternoon you will learn about Giacomo Leopardi (1798-1837), Italy’s famous poet and philosopher. You will visit Leopardi’s ancestral home/museum in Recanati and the historic wine estate. Enjoy a stroll through the vines followed by a tasting of Leopardi’s wines. Then head back to Ancona for a free evening. We suggest an aperitif at Acrilico, a chic wine bar. Dinner on your own with our suggestions. This morning you will head to Ascoli Piceno, a pleasant drive about one hour and 20 minutes. You will visit some small and characteristic wine estates in the region such as Aurora and Velenosi before heading to Ascoli Piceno for lunch. Begin with a visit to Aurora, a tiny, organic estate making a “Supermarchigiano” (a “Super Marche”, similar to the “Super Tuscan” nickname for elite cru wines). 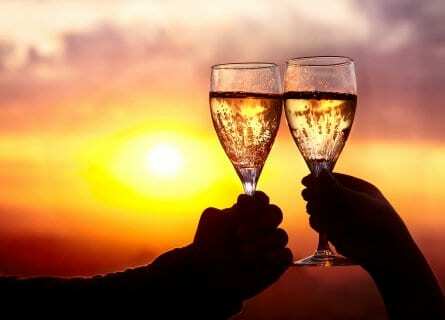 You will have a private tour and tasting of all flagship wines followed by a 2nd winery tour at Velenosi winery. Velenosi makes Cru red wines in the Rosso Piceno Superiore appellation as well as bubblies and whites (like the stylish chardonnay Reve di Villa Angela and the smooth Falerio Vigna Solaria). 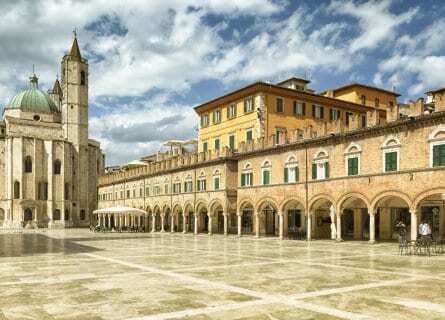 And after a morning of wine touring, you will head into Ascoli Piceno. This medieval town is a famous stop for cyclers, and you will likely see some here taking a break at one of the cafes in the piazza. One of Marche’s cutest towns, Ascoli Piceno offers a jumble of towers, bridges, and palazzos. After a convivial lunch, enjoy some free time to visit on your own. This afternoon you return to Umbria (Spoleto tonight), traveling through the outrageously scenic Monti Sibillini mountain range. Stop for a coffee and some photos in wonderful Castelluccio di Norcia, a hilltop town overlooking a flower-covered valley. In the late afternoon arrive to Spoleto, home to the “Two Worlds” annual arts and music festival. Check into your palace hotel and relax for the rest of the evening on your own. Your romantic room has high ceilings with ancient wooden beams and is full of antiques. The grounds are magnificent with manicured gardens offerings views of Spoleto, the valley and the mountains beyond. Enjoy some free time to explore Spoleto, a truly magical Umbrian town. Tonight then for your farewell dinner, we have a gourmet dinner waiting for you at one of Spoleto’s secret gems. This morning, enjoy free time to visit Spoleto. Lunch on your own with our suggestions either in Spoleto or en route to Rome. At your preferred time, you will be dropped off in Rome (airport or your next hotel). And this concludes your Slow Food style wine tour of Umbria and the Marche! We look forward to seeing you again. Lunch at Brizi was one of my favorite things of the entire trip to Italy. I loved Emanuella, the location, the food….just everything. I would go stay there! What an unexpected joy! You were organized, thorough, and exceeded my expectations. You made planning the adventure quite simple! It was first class all the way and one of the most enjoyable of our travel experiences. You have obviously put a lot of thought and work into organizing this tour. Your selection of hotels, wineries, and the performance of the guides, drivers, etc. were all terrific. Your selection of wineries to visit was inspired. From the small family, Decugnano Barbi winery in Umbria to the medium-sized Altesino to the large but high-quality Antinori property gave an interesting view of Tuscan winemaking. La Pergola was one of the finest meals of our lives and we are accustomed to eating in fine restaurants. Mr. Beck personally checked to make sure we were satisfied. Have already recommended your company to one of my wine buddies. On top of that, have been discussing the possibility of using your company for a trip to Bordeaux and the wine districts of Spain.